Texas’ state flag is extremely popular and well known, and we wanted to make a wood flag that did it justice. Most flags have interesting histories, and Texas’ flag is no exception. When we did a bit of research to learn more about this state flag, we came across some fascinating facts about it. If you’re interested in this flag, you’ll want to know these five things. 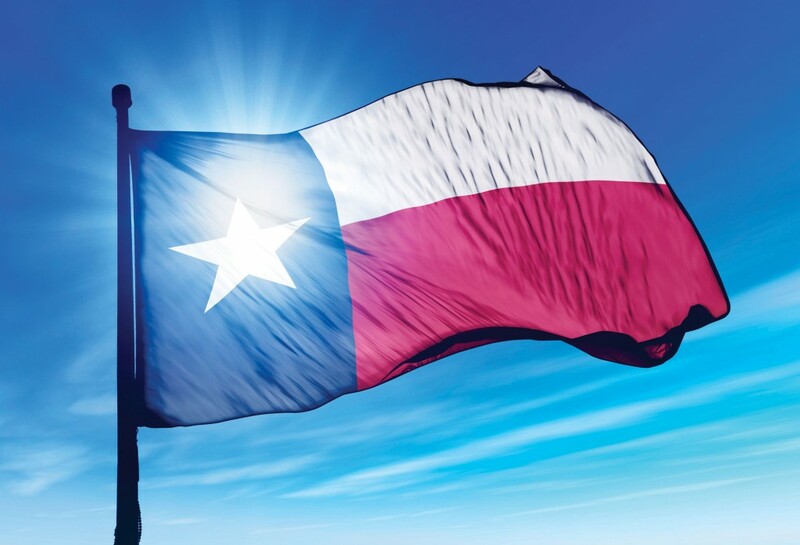 The design of Texas’ flag resulted in the widespread use of a nickname, the “Lone Star Flag.” The flag is also responsible for another nickname—this one for the state itself—when Texas became known as the “Lone Star State” in a nod to the popular flag. THE TEXAS FLAG’S DESIGNER IS UNKNOWN. While Dr. Charles B. Stewart is credited with drawing an early image of the Lone Star Flag, no one knows who actually designed Texas’ flag. His drawing was used when legislation adopting the flag was enacted, but the flag’s designer remains a mystery. THE COLORS FOUND IN TEXAS’ FLAG ARE THE SAME AS THOSE FOUND IN THE US FLAG. Texas’ flag incorporates red, white, and blue. These colors are required to be an exact match to the colors found in the Flag of the United States. Each also stands for a different quality: blue for loyalty, white for purity, and red for bravery. According to Texas’ Flag Code, the lone star represents all of Texas and stands for the state’s unity as one for God, state, and country. This symbol didn’t originate with the flag, however—Texans also used it as a symbol of solidarity when they declared independence from Mexico. The lone star has also come to represent a spirit of independence. THERE IS A CONTROVERSIAL PLEDGE OF ALLEGIANCE TO TEXAS’ STATE FLAG. Here is Texas’ pledge of allegiance to the state flag “Honor the Texas flag; I pledge allegiance to thee, Texas, one state under God, one and indivisible.”The phrase “one state under God” was added to the pledge in 2007. It has been a controversial addition—one that’s been challenged in court and drawn national scrutiny. Nothing has come of the controversy, however, and the words still stand today. No Replies to "5 INTERESTING TEXAS FLAG FACTS"